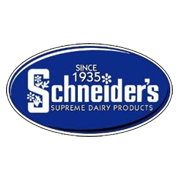 Schneider’s Dairy chose AFS Technologies to help navigate multiple locations and multiple regulations. “The state of Pennsylvania is divided up into six different milk areas and each of those areas has different pricing and different rules that they have to follow. It’s very unique to most other states in the U.S,” notes David Schneider, Vice President of Schneider’s Dairy. And that’s just Pennsylvania. Schneider has five other states to cover.